Quick Response (QR) codes are two-dimensional graphics that can be scanned by smartphone cameras to automatically retrieve text, photos, videos and URLs. 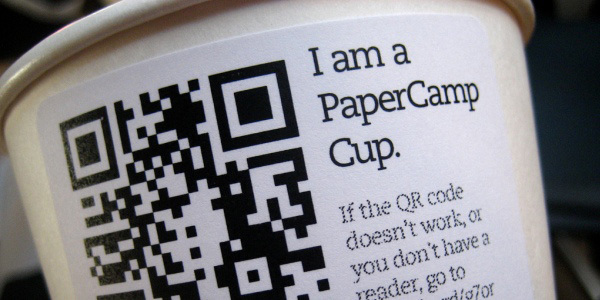 Being mobile-friendly, there are many benefits to printing QR codes on labels. This scannable technology allows shoppers to use their smartphones and mobile devices to learn more about an item. The codes can also be leveraged as a promotional and/or marketing tool. When designing custom labels, sellers have a very limited space to work with. And because the packaging and labeling of products plays such an important role in grabbing the attention of shoppers, it is essential to make sure that every inch of the space is used strategically. Many people struggle with deciding which elements they should include, with an obvious concern being that the label will look too crowded or cluttered. The benefits of using QR codes and other digital technology in labels are easy to see ,the QR codes are valuable when they provide information that the shopper wants to know, rather than a promotional video or marketing content. The important takeaway from the research findings is that, if you are going to include a QR code in the design of product labels, it is crucial to make sure that it is one that provides the consumer with valuable information. Furthermore, in order to determine this, it is necessary to first gain a sound understanding of what exactly your audience and potential customers find meaningful in regard to the type of item you’re selling. For example, if it is food or beverages, using the QR code to offer them detailed listings of the ingredients and nutritional values may be a good idea.